As far as sporting events go, few can compare to the glamour, the bombast and the sheer popularity of the NBA. Enjoyed the world over in many different countries by an exceedingly wide and varied array of people, the NBA is quite possibly the pinnacle of modern day sporting events. That being said, there are other sporting events that garner their fair share of viewers, most notably World Cup football and the Stanley Cup. It is this latter that we compare to the NBA in today’s sporting events comparison article. The Stanley Cup is actually a trophy awarded to the winning team of the National Hockey League or NHL playoffs, although the term is often used to refer to the event itself, much like the "World Cup" is used to refer to the international soccer playoffs. 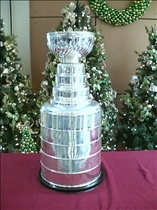 The trophy is also known variously as “Lord Stanley's Cup”, “The Holy Grail”, and even simply as "The Cup". The NBA or National Basketball Association is the top men's professional basketball league in North America, although like the Stanley Cup, it too is often used to refer to the playoffs at the end of the season. The league is composed of thirty clubs in the United States, with one club located in Canada. The league was established in New York City on June 6, 1946, when it was then called the Basketball Association of America or BAA. It was in 1949 when the league took on the name NBA, after a merger with the National Basketball League or NBL. The Stanley Cup has been the center of numerous traditions, with one of the most colorful ones being the drinking of champagne from it by the winning team. This tradition was started by the Winnipeg Victorias, which won the cup in 1896. The cup is often awarded to the winning team right on the ice, with the team members carrying the cup around the rink in victory. The NBA itself has been marked with numerous changes and developments, one of the most recent of which was the use of a new type of ball for the 2006–2007 season. This was the first time that the type of ball has been changed in more than 35 years, and only the second time that the type of ball has been changed since the NBA began. Most hockey fans are quick to point out that the Stanley Cup has now surpassed the NBA playoffs in sheer magnitude, perhaps owing to the vast global popularity that the sport now enjoys. In fact, the popularity of the Stanley Cup playoffs is comparable to the NCAA men's basketball playoffs, which often surpasses even the NBA playoffs in popularity. 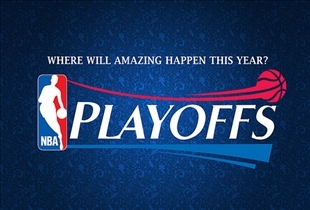 Even so, there is no doubt that the NBA playoffs still generate more viewers and advertising revenues than the Stanley Cup, although the popularity of the hockey event is definitely on the rise. Which championship series has better fans?